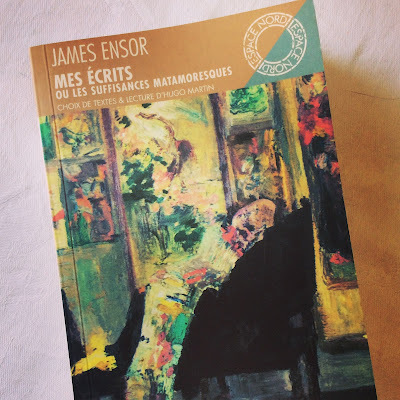 I did a brief thing about the Belgian painter James Ensor recently at our monthly artists’ group meeting. I can’t really call it a talk; it was more of a muddled ramble about what I like about his work with a few biographical details thrown in. This is a new thing we’re doing - bringing artists to the group that members may not have come across or not paid much attention to.